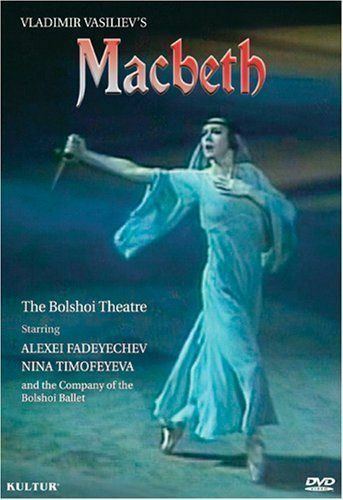 Macbeth : a ballet in two acts, is the next program in the Music and Dance on Film series to be screened this Wednesday September 14 in Arts. The ballet is based on the play by William Shakespeare. Music is by Kirill Molchanov. Featuring artists of The Bolshoi Ballet. With the Orchestra of The Bolshoi Theatre, conducted by Fuat Mansurov. Choreographed, written and staged by Vladimir Vasiliev. Recorded Live in performance at Moscow’s historic Bolshoi Theatre. Inside the Bolshoi Theatre, Moscow. Photographed by Theefer, 10 April 2005. (WikiMedia Commons). Macbeth : a ballet in two acts, includes most of the themes of Shakespeare’s masterpiece of murder & intrigue in mist-shrouded Scotland. But choreographer Vasilev has elaborated on several scenes tailor-made for choreography, such as the opening battle scene and a banquet scene. The program commences at 12.00 noon and concludes at 1.35 pm approx. It will be held in the Arts Listening-Viewing Room. Enter via the Arts Reading Room and Audio-Visual Centre (from Trescowthick Information Centre). Admission is free. No bookings required, but come early as seating is limited. Enjoy!